Amazing Vintage Snake Frame Image – Halloween! Today I’m sharing this Amazing Vintage Snake Frame Image! Such an unusual graphic! Featured above is a Snake, in a circular position, with his head and tail meeting so that it makes a perfect Frame. 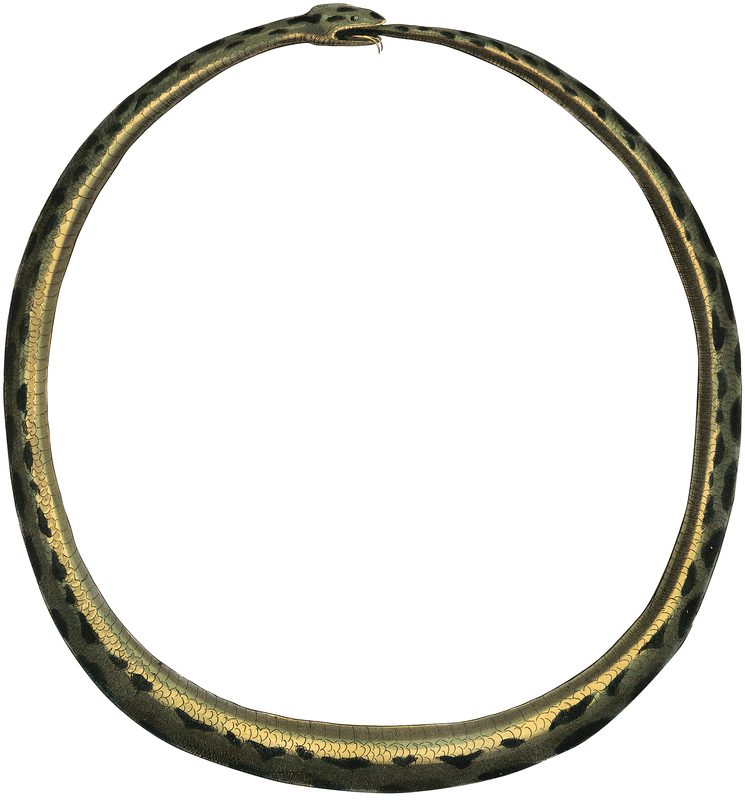 The Snake is tinted a greenish gold color, with black spots. He would be perfect to use for your Halloween Projects, Handmade Cards or Party Invitations! « Vintage Adorable Children in French Breton Costumes! WOW! That’s one of the coolest Halloween graphics ever! Oooh, so cool! I would use this for nature scrapping too. That is a great idea Peggy! This is so fun for Halloween! Now I’ve got to start thinking about something fun to with it. Thank you so much for sharing. So unusual — I’ve never seen one like this before! Awesome!! Thank you so much! Thanks Irene, it is unusual for sure!